Decoupage is decorative paper craft and is also the French word for cutting up or cut-out. Using a special decoupage paper and glue varnish, it transforms objects into fabulous contemporary ornaments and home wear. Anyone from the age of three upwards will have no trouble in using this craft, as there are no artistic skills required to create great end results with very little effort. Decoupage is therapeutic and creative, and above all its fun. It’s great for parties and group activities, school projects, furniture decoration, and makes a great gift pack. It sticks to just about anything and looks amazing. 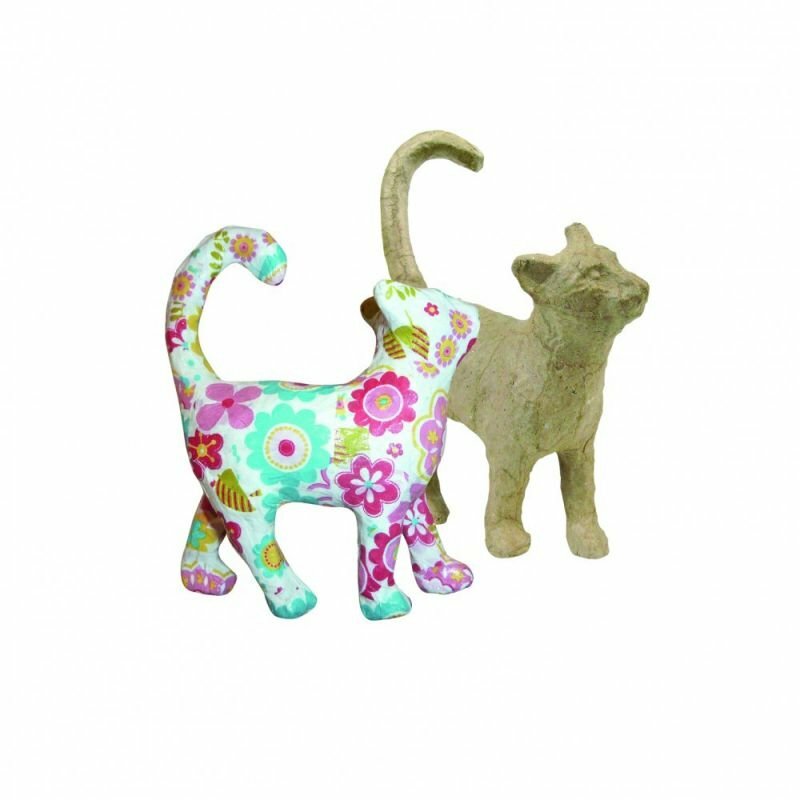 We have many different decoupage papers to choose from here in our studio, and we stock many paper mache animals to choose from, large or small. We also have letters, photo frames, bird boxes, but to name just a few, or if you prefer you can purchase one of our decoupage gift packs, book a birthday party, or purchase one of our decoupage take away party packs. Please give us a call if you would like to book a party or a session in decoupage, or for any further information.